Over 400 guests are expected to attend this year’s bloggers awards gala dinner to be held this Saturday at Nairobi’s Crowne Plaza Hotel. The event to be attended by bloggers, representatives from different companies and the media will provide a platform to announce and award this year’s winners in the various categories following the voting process which began early last month closed yesterday. This year, over 10,000 blogs were submitted to the judging panel for the 23 categories. According to the Bloggers Association of Kenya, (BAKE) who are the organizers of the event, inners in the various categories will receive a trophy and different prizes. “As part of this year’s BAKE agenda, we are encouraging more youth to come forth and embrace blogging as a way of creating employment. It has become serious business and people are doing it full time and earning good money from it. Therefore, events such as this award gala will help us drive this agenda,” said BAKE Chairman Kennedy Kachwanya. Some of the key sponsors of the awards include Safaricom, Bill and Melinda Gates Foundation, Ford Motors, ShowMax, Xpose, EatOut and Kenya Human Rights Commission. The awards continue to grow with submissions increasing every year. During inception in 2012, competition has grown 300 submissions and 10,000 votes to 4800 submissions and 540,000 votes in 2016. “We are so happy to see the increase of representation of women among nominees. In 2012, it was 68 percent men versus 32 percent women but in 2016 it improved to 41 percent women versus 59 percent male,” Kachwanya said. This year, two new categories have been introduced i.e. Best Lifestyle Blog and Best Human Rights Blog to champion for lifestyle and human rights issues. The introduction of the two will see the total number of award categories increase to 21. The categories are sponsored by Ford Motors and the Kenya Human Rights Commission (KHRC) respectively. This year’s competition started on January 9th 2017, and will culminate in the awarding of the winners at a gala event on Saturday May 13th 2017 at Crowne Plaza Hotel. Last year’s contest saw 4,899 blogs being submitted and over 500,000 votes recorded. 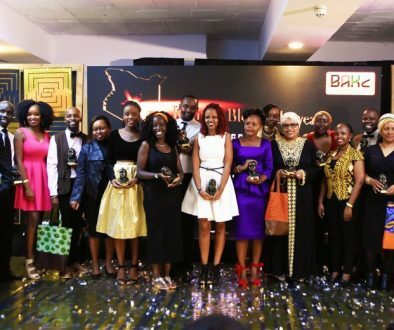 Women did well last year with bloggers such as Jamila El-Jabry (lifeinmombasa.com), Dr. Claire Kinuthia (theycallmedaktari.com), Maryann Waweru (mummytales.com), Rachael Muthoni (safari254.com), Diana Kaluhi (kaluhiskitchen.com) and Lucia Musau (luciamusau.com) emerging winners.